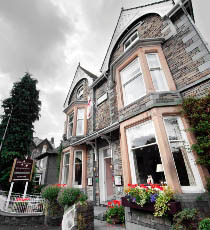 At Elder Grove your host Paul provides you with comfortable family run bed and breakfast accommodation, with spacious en suite bedrooms, freshly prepared breakfasts sourced from local produce, and award winning home made marmalade, served in our unique greenstone dining room. 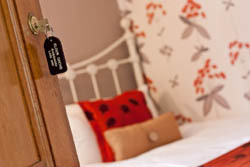 With 10 bedrooms we offer a choice of singles, twin and double rooms and 2 superior rooms. All the rooms are en-suite with bath and shower in the bathroom. The bedroom facilities also include hot drinks tray, TV and radio with digital channels, hairdryers and comprehensive information folders. 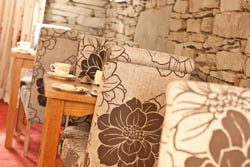 Elder Grove also has a modern style guests lounge with DVD and playstation and a comfortable bar lounge area with computer and free wifi running throughout the building, a host of Lakeland literature, maps and walk information are all available for guests use and with private parking and a small garden area, guests enjoy a homely atmosphere with a professional hospitality service. Over the last 3 years we have worked towards running Elder Grove as a sustainable tourism business, we have achieved this by gaining gold awards and in May 2009 we were finalists in the Cumbria Tourism’s annual awards on the sustainable business category.